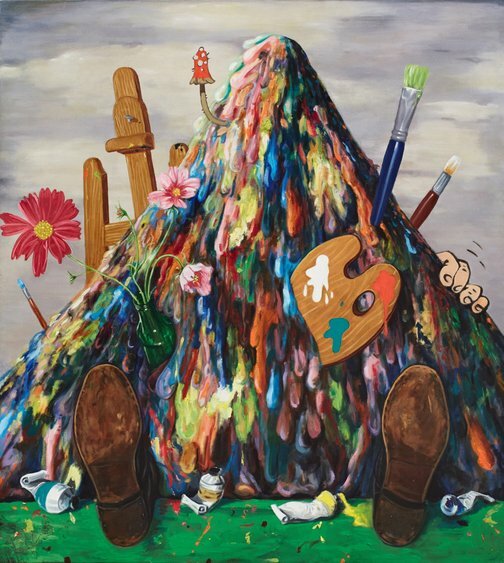 A comic irony resonates within my approach to Untitled (paint pile) , playfully undercutting the stereotypical notion of the ‘heroic male painter’. In this way, the painting demonstrates a self-reflexive distrust towards canonical tropes of the artist as ‘genius’. 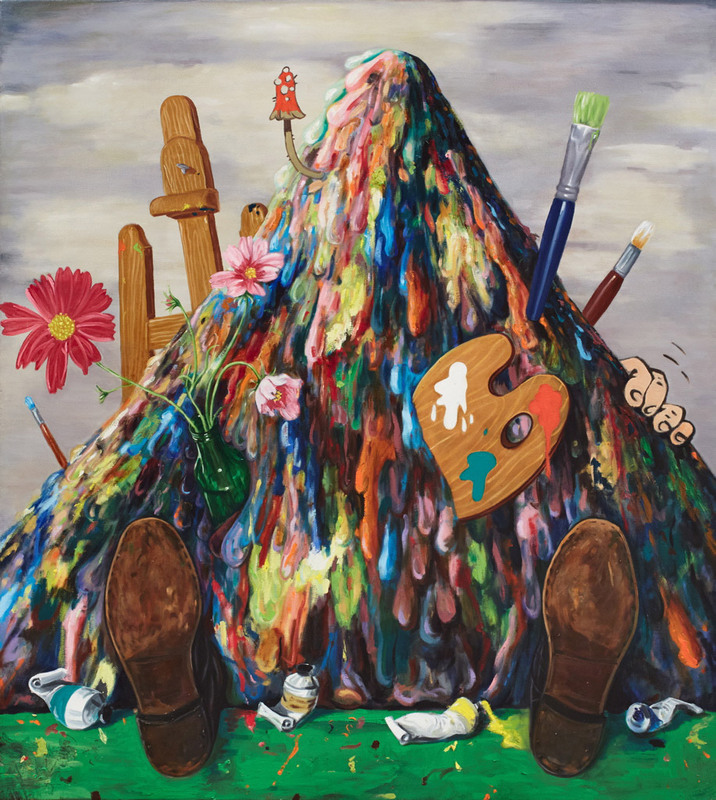 Here, paint is a mound of abject ooze, goo and colourful bodily waste. The paint itself has become an overwhelming presence. As the painter is all-consumed by his work, he is literally overcome by it, swallowed up, suffocated.